Enabling corporate and investment decision-makers, through custom research solutions focusing on risk management and blockchain intelligence. Our solutions are meant for strategic decision-makers such as Chief Procurement Officers, Chief Information Officers, and Chief Sustainability Officers; and well as those taking investment decisions. Our highly professional research approach, swift client communication, and client-centric approach, ensures that your experience with us will be hassle-free and enriching. Our research products are well-thought-of and have evolved after our discussions with decision-makers over the years. Most organizations will find them essential and valuable. ESG Intelligence enables corporations to embrace emerging technologies to improve their business and sustainability performance. We deliver research-driven insights in the areas of blockchain intelligence and risk management. Our enterprise blockchain intelligence solutions have evolved after speaking to 100+ senior decision-makers at enterprises and leaders at blockchain technology companies, about how they want to use our intelligence. Our solutions can empower corporate and investment decision-makers to make intelligent and informed decisions, about blockchain use case identification, vendor selection, consortia identification, and at the same time allow you to prepare for challenges that make blockchain adoption difficult. Our risk management solutions are aimed at identifying and mitigating supply chain risk for corporates. We conduct in-depth supplier risk assessments and monitor your critical supplier to uncover any supply chain disruption before it happens. 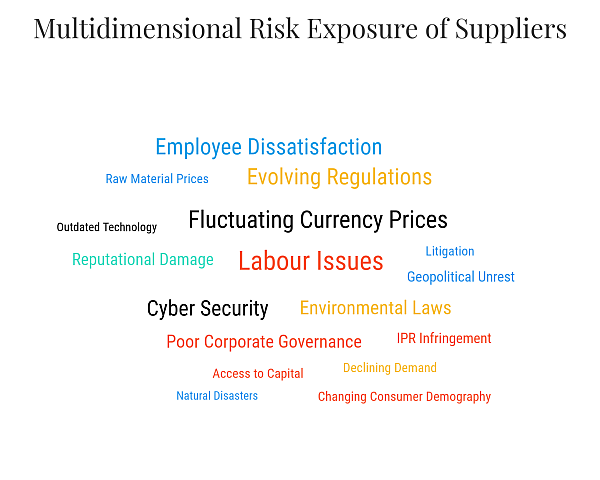 Even as the factors causing supply chain disruption have evolved, the supplier risk assessment methodologies clearly have not. Failure of a critical supplier can have severe consequences for businesses. Therefore, it becomes imperative for businesses of all sizes to consider more comprehensive risk assessment and monitoring of their critical suppliers. 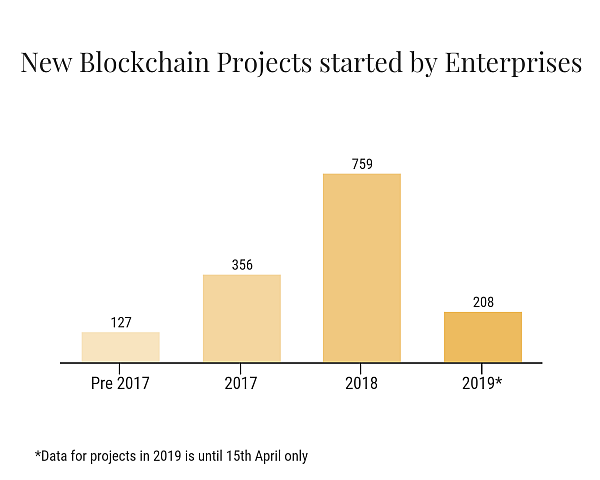 Enterprise blockchain adoption space is buzzing, and so is the $$ raised by blockchain-driven ICO’s. However, there is a disconnect between what these ICO-start-ups are doing, and what enterprises want. CIOs need to look through this hype and capture the story that is emerging by focusing on the right use cases, vendors, benefits, challenges and trends. Periodic and comprehensive risk assessment for your critical suppliers. Ongoing monitoring of your critical suppliers for dynamic risk exposure tracking. Peer-benchmarked comprehensive ESG assessment reports for your organization and your critical suppliers. Supplier portfolio benchmarking on the basis of sustainability performance and compliance.